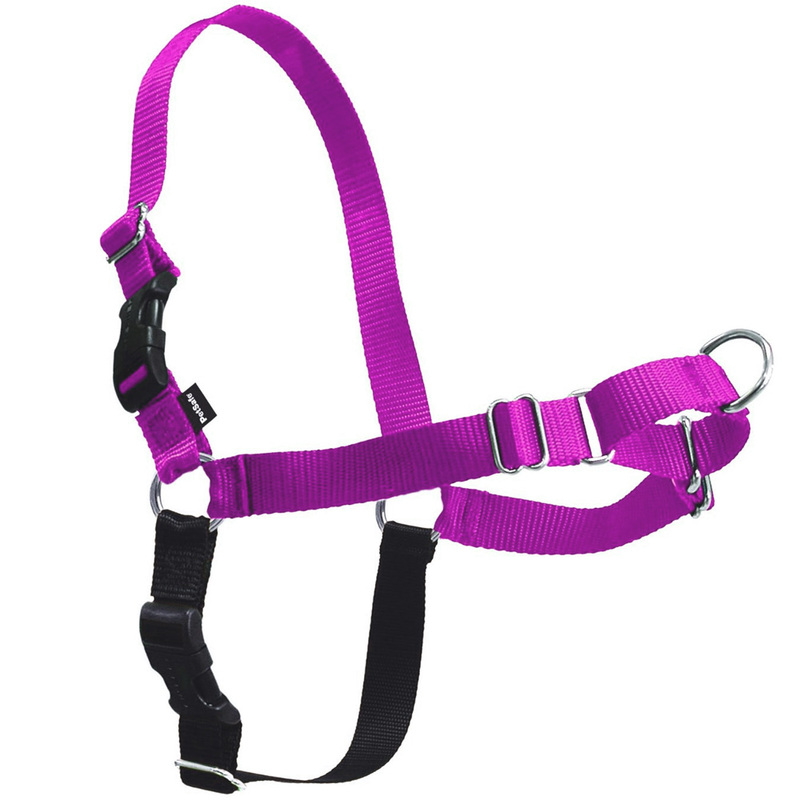 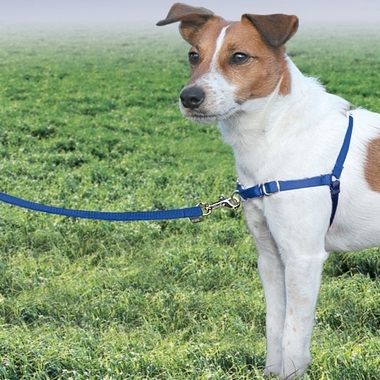 The Easy Walk Harness gently discourages your dog from pulling while on a leash. 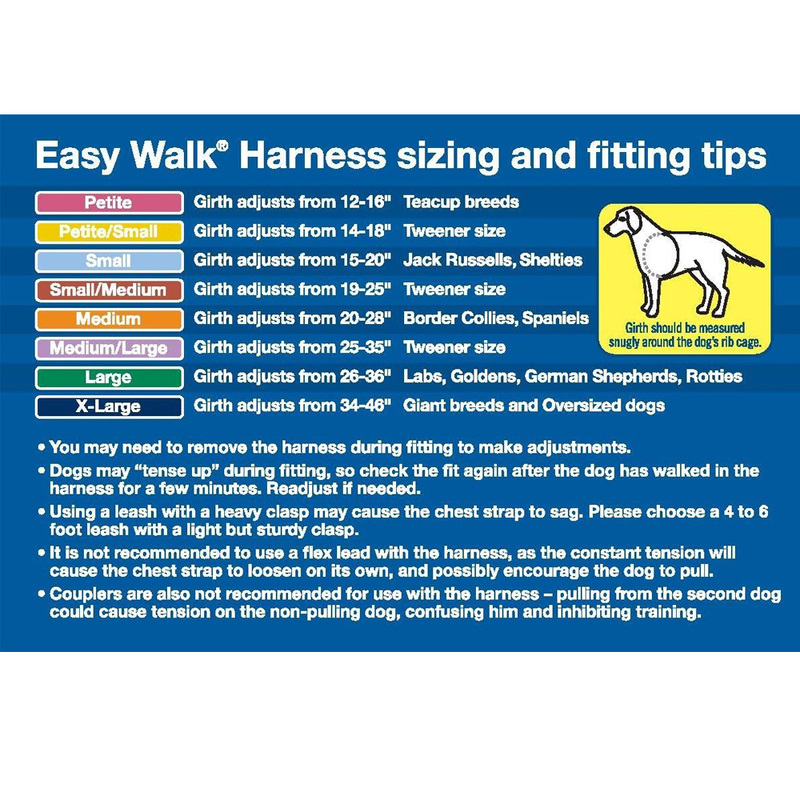 Easy to fit and comfortable to wear, the Easy Walk Harness makes walking enjoyable for you and your dog. The front-chest leash attachment helps you steer your dog to the side and redirect his attention toward you. The chest strap rests across your dog’s chest instead of putting pressure on the delicate throat, so there’s no choking or gagging. 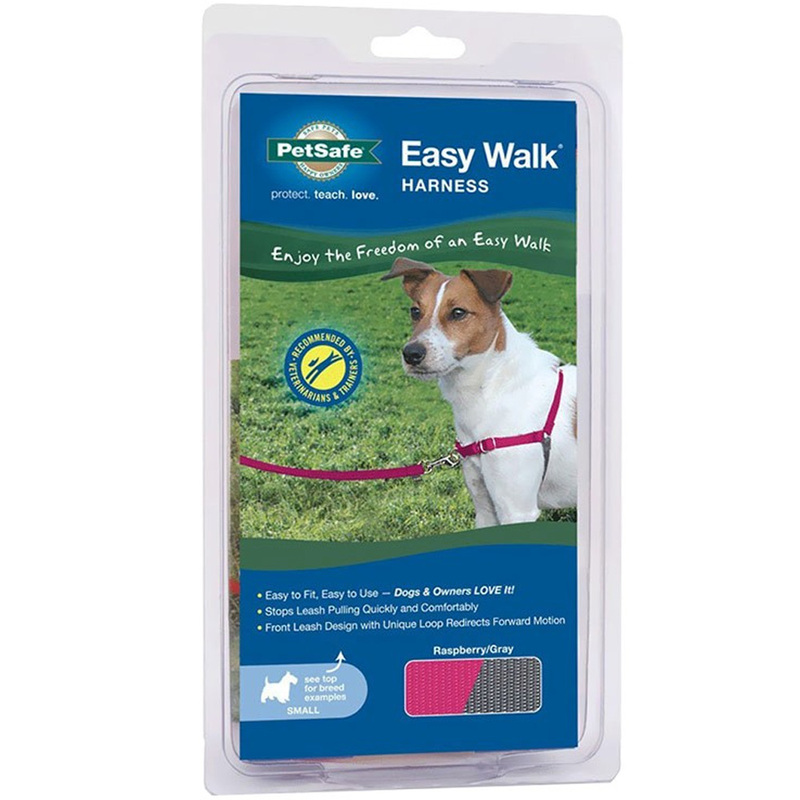 Now you can take the lead and enjoy the freedom of stress-free walks.